An indictment on society? 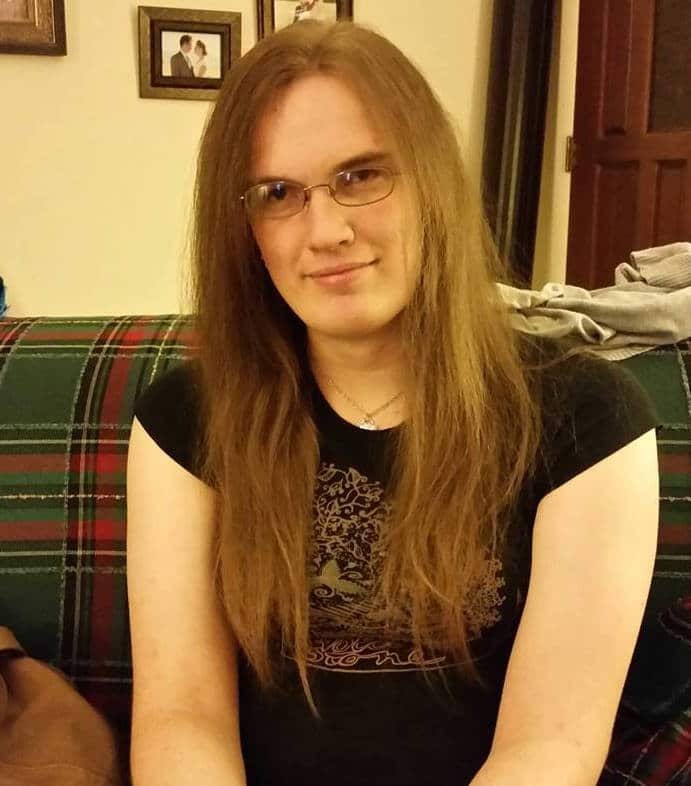 How transgender woman, Ashley Hallstrom felt she had no choice but to kill herself. Via facebook. 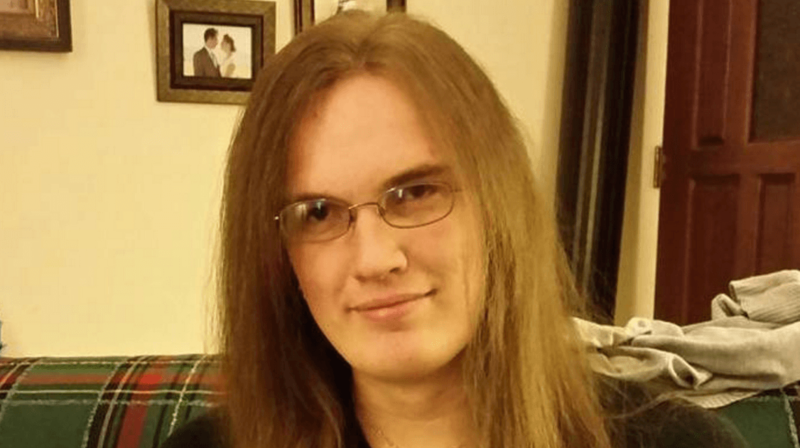 Going viral is a suicide note Logan City, Utah transgender woman, Ashley Hallstrom posted on facebook shortly before killing herself by walking into oncoming traffic. 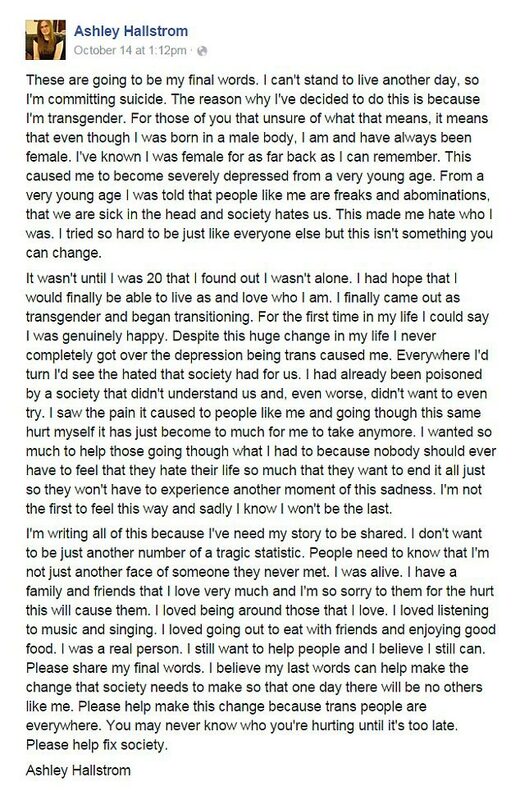 Struggling with depression, the 26 year old took to social media where she gave voice to her conflict with identity and being a transgender woman in today’s society. According to a report via CBS Las Vegas, Hallstrom appeared to intentionally walk into traffic and was fatally hit by a dump truck on the highway. The driver attempted to drive and swerve but was unable to avoid the collision, according to a police report. Tragically cops told that they were notified of the woman’s suicide note prior to the accident, but were unable to locate her. At the time of her suicide posting, multiple friends pleaded with Hallstrom not to kill herself. Hallstrom said in the post that she wanted her experience to help others. ‘I believe my last words can help make the change that society needs to make so that one day there will be no others like me. Please help make this change because trans people are everywhere. You may never know who you’re hurting until it’s too late. Please help fix society,‘ she wrote in the post. She also expressed that she didn’t want to be remembered as just another number. Friends of Hallstrom set up a GoFundMe page to help the family cover funeral expenses. As of Wednesday, the group had exceeded its goal of $3,500.